Indoor gardening with an AeroGarden has never been so popular. Thanks to its easy setup and maintenance! Have you ever wonder if there’s a way to refill automatically the reservoir? In this post, we’re going to take an in-depth review of the AeroVoir. 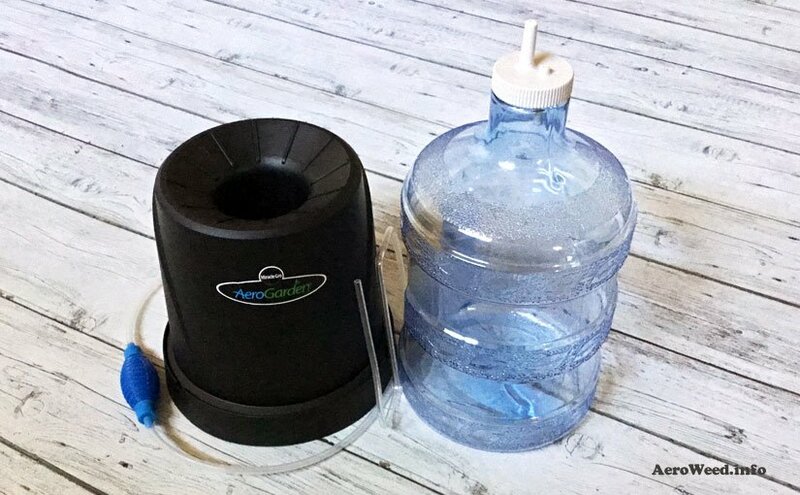 This optional accessory keeps your reservoir filled to the ideal level for several days while you’re away from home. Simply insert the plastic tubing into the air/water ports located on the top plate. You may need to use the provided stand depending on your AeroGarden model. The stand needs to be in place for use with the AeroGarden Bounty. You may need to shim the AeroVoir a bit to get the perfect water level. After the setup, press the pump 8-10 times to remove the air in the tubing and you’re done. How long can the Aerovoir last? It depends on how much water your plants are consuming per day. 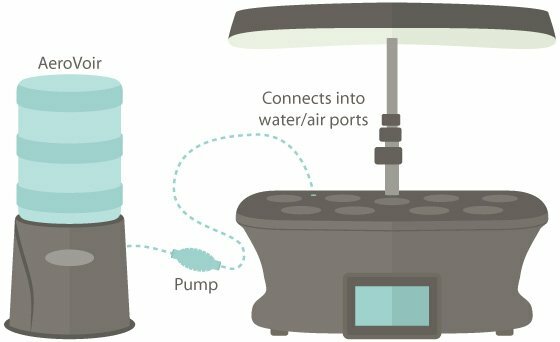 If your plants are mature and consume a lot of water, the AeroVoir will keep your reservoir filled for a few days (maybe 4-6 days). If your plants are small, the AeroVoir can keep your AeroGarden reservoir filled for two weeks or more. The best way to know is by testing it before your trip. Then, you will leave in confidence, and most importantly; your plants will be alive when you’re back to home! This is the best AeroGarden accessory that I’ve tested so far. I used the AeroVoir first before a business trip, and never stop using it. This item is a must-have, even if you stay at home! It increases the watering intervals, and this is especially appreciated if your plants consume a lot of water.